On an island just two miles wide by four miles long, you wouldn’t expect transportation to be a major issue. But getting around Key West can prove quite a headache if you’re not prepared. It’s important to know where your accommodations are in relation to where you’re going and what you want to do during your Key West trip. First, you don’t need a car to effectively get around Key West. In fact, we advise against it. You can drive almost anywhere in Key West, but parking can be and often is a nightmare. Plus, a car will become more of a hassle than a convenience when you invariably want to stop, get out and just walk around a little. Skip the rental car counter. If you feel you absolutely must have a car while you’re in Key West, leave it at your hotel as much as possible. The best ways to get around Key West are also the simplest. For example, why not walk? If you’re staying in Old Town, it’s very likely everything you’ll want to see and do is within walking distance. In fact, you can walk from one end of Duval to the other in around half an hour (perfect for window-shopping!). Get a map of the island when you arrive and create your own walking tours. Getting around Key West on foot is easy, free and will help you work all those yummy margaritas. Bicycle is probably the most popular way to get around Key West. Everywhere is bicycle-friendly and locals are well accustomed to sharing the road with cyclists, so you’re quite safe. 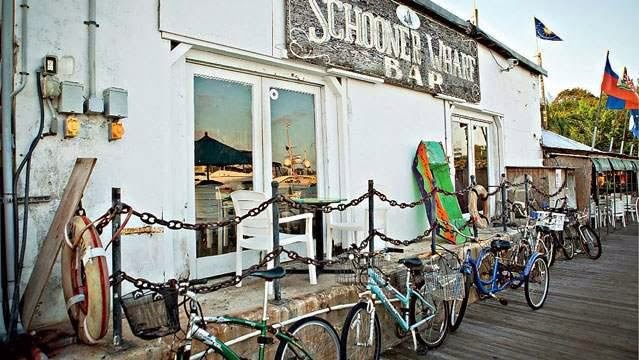 You can even take your bike or scooter to all of your Key West activities. At around $50 per week, renting a bike is also extremely affordable. Choose from tandem bikes, men’s and women’s, trikes and even bikes with child seats for your little ones. If you’re craving a little more speed, why not get around Key West in a scooter? Scooter rentals are quick and easy but significantly more expensive than bicycles (though rates vary by vendor). Choose from single- and double-seaters. For both scooter rentals, keep in mind that you’ll likely have to provide a credit card at the time of rental and allow a hold to be placed on it for up to $500. Holds can take up to 10 days to clear, so plan accordingly. 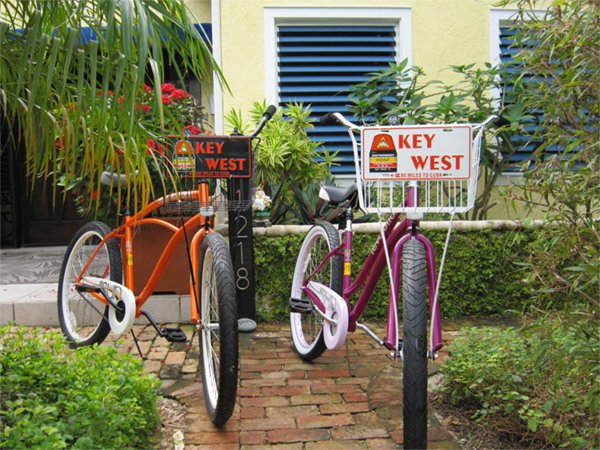 Getting around Key West is fast, fun and easy when you choose the option that best fits your needs. Check out our transportation listings to explore all your options for getting around during your trip to Key West. Don’t forget to book your Key West things to do or your Key West hotel to secure the best rates!